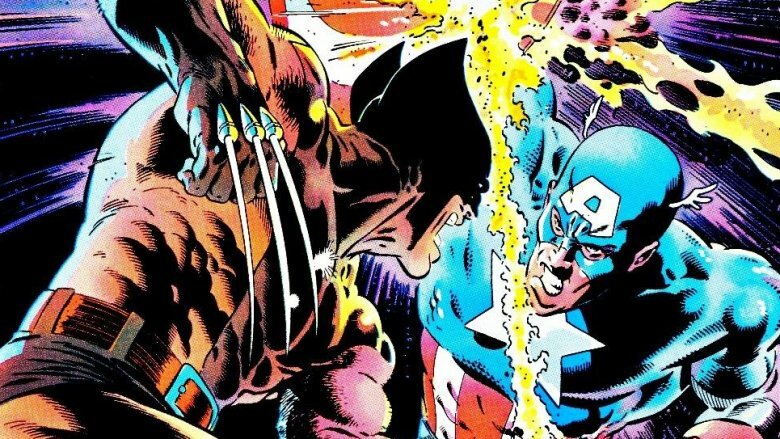 Ever since the news broke that Disney would be purchasing a big chunk of Fox—to the tune of a whopping $52.4 billion—there's been a ton of talk about what this could mean for the future of both businesses, and most importantly, whether Wolverine will end up teaming up with Captain America on the big screen. Marvel Studios loves surprises, so the actual effects of the deal won't really be clear for some time. 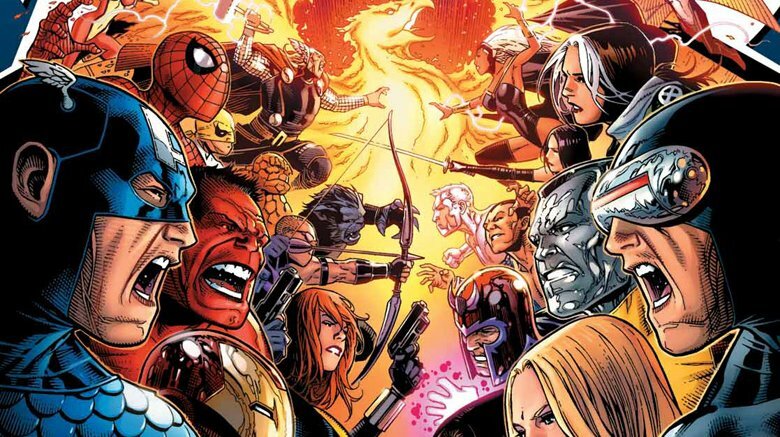 But a little speculation never hurt anyone, so now that the X-Men, Fantastic Four, and Deadpool are under the same corporate umbrella as the rest of the Marvel Cinematic Universe, let's delve in and think about what it could all mean for the movies. 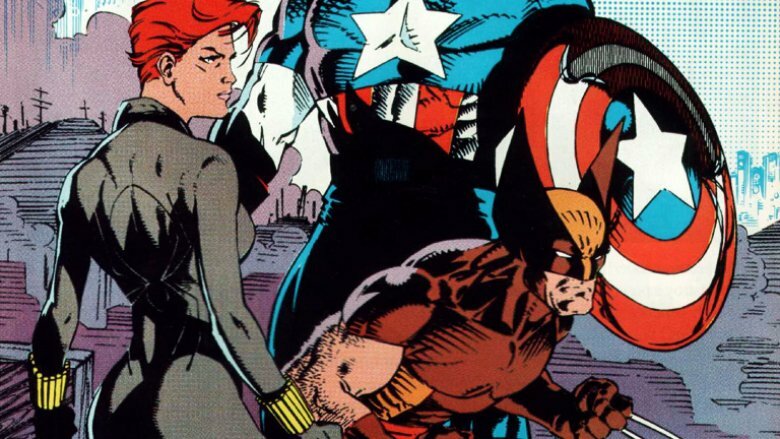 Marvel was desperate for cash in the '90s, partly due to a particularly bad lull in the comics industry's boom-or-bust cycle, and one of the strategies they tried was licensing out their major characters for movies. It might seem obvious, but up to that point, Marvel's big-screen efforts had actually been pretty dismal: a couple of rough attempts at Captain America, an ill-fated Fantastic Four movie from legendary B-movie director Roger Corman that only existed as a bootleg for years, the widely panned Howard the Duck, and the underrated 1989 Punisher movie that was maybe a little too much like the comics of the time for its own good. At the same time, TV efforts like the X-Men and Spider-Man cartoons had proved to be hugely successful—especially in terms of selling action figures—and even the old Incredible Hulk TV show was something of a pop culture touchstone. Clearly, the characters were appealing—which is why they were the ones that Marvel rushed to license. Spider-Man, after a super complicated licensing issue that I'm not even close to fully understanding, wound up at Sony, and the X-Men went to Fox, the company that not coincidentally owned the TV network that aired the cartoon, along with Fantastic Four. But while they were the major ones, there's another one that beat them to success in film: Blade. That might be the weirdest but most telling thing about Marvel's entire run of movies: it wasn't the big-name franchise players that gave them their first big hit, it was, to put it charitably, a C-list character who'd never really held down his own title, and whose movie didn't even include his own arch-nemesis. But it was proof that filmmakers could make it work with obscure characters that could blend genres into something that felt different, something that seems pretty obvious when you're looking back 20 years later, when we've got two successful, big-budget movies featuring Rocket Racoon. And hey, if you ever doubt how important the Blade films were to the very idea of the modern comic book movie, just look at what the guy who wrote them is up to these days. Since the licenses were partially meant to bolster the company's finances, it wasn't until 2003 that they decided they could cut out the middleman and produce the movies themselves, relying on studios for distribution. By then, however, Fox's X-Men movies and Sony's Spider-Man series were hits, meaning that the newly formed Marvel Studios were left with what in the late '90s had been some of their least important comics properties. You know, Captain America, the Avengers. Those guys. That's what's really interesting, as a fan of the comics, about seeing the rise of Marvel Studios. As hard as it is to believe it today, the Avengers have only really been a big deal recently. There are great stories from throughout their history, but while Cap and Thor had great solo stories, they were never the characters Marvel was built around. In terms of who was a big deal, it was the Fantastic Four from 1961 until the X-Men took over in 1975, and then it was the X-Men for the next 30 years, with Spider-Man running at a close second all the while. The Avengers were always around, but they were never the franchise, and neither were the members' solo adventures. That's why so many of us were surprised when 2008 rolled around and the Iron Man movie was a) really good, b) quickly positioned as the cornerstone of a sprawling franchise, and c) popular enough to make Tony Stark a household name. So here's where it gets weird. The fact that the Avengers were always part of "…and everything else" actually works in their favor when it comes to movies. Spider-Man had always been better as a solo character, and—as evidenced by the fact that there's like ten movies and a handful of TV shows over the past two decades—the X-Men had been The Biggest Deal long enough that they basically had their own whole universe to work with. With both of the other major pieces of the universe working comfortably as standalone properties, the Avengers movies are free to draw on everything from Captain America to Doctor Strange to weird outer-space stuff lifted from Planet Hulk. The problem, however, is that the Marvel Universe of the comics is so tightly knit and interconnected that when something can't be included, it winds up feeling notable by its absence. Which we might have never noticed if it wasn't for Quicksilver and the Scarlet Witch. See, Fox's deal for the X-Men meant that they got the media rights to every mutant, and considering that the entire reason mutants exist in the Marvel Universe was that Stan Lee and Jack Kirby figured it would be easier to create new characters if they didn't have to come up with a different origin every time, that's a lot of people. 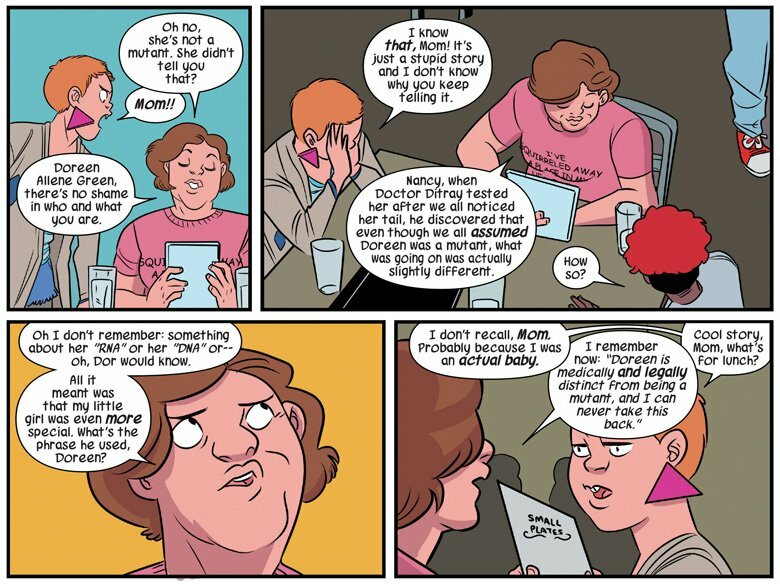 That's how you end up with jokes like the one above, from Unbeatable Squirrel Girl, who claimed to be a mutant in her first appearance (and a couple times since), but apparently turned out to be fibbing and, purely by chance, ended up in a TV show produced by Marvel Studios. The Maximoff kids, though, are a weird special case. They're definitely mutants—they're literally Magneto's kids, which is about as mutant as you can get—but they were also a part of the Avengers as early as 1965, and Wanda is way more identifiable as a part of that team than any version of the X-Men. Because of that, Quicksilver became the only character to actually appear in movies from both studios, with a reference to his sister cut from one of the X-Men movies and a not-too-surprising death getting him out of the MCU. Even that came with an agreement that the movies just wouldn't talk about each other—which is why the Avengers movies go out of their way to call them anything and everything but "mutants"—and the whole thing just seemed weird. But what if they didn't have to go through all that trouble? What if, starting right now, they could just talk about all of it and throw whatever they wanted into a movie? Here's the thing: in at least the case of the X-Men, they may not actually want to. That's not a judgment on the characters, either—it's about how the universe has been built. Admittedly, they'll probably figure out a way to get Wolverine in there, just because not doing so would leave a ridiculous amount of money on the table—and hats off to the poor guy who has to step into the role after 17 years of Hugh Jackman—but when it comes to the larger world of the X-Men, it's worth noting that the MCU has spent the last decade studiously building a shared universe that specifically avoided the very concept of mutants. That makes the X-Men a really tough group to wedge into a world that already exists to the extent that the MCU does. It's not just a matter of introducing a single character. That's relatively easy, even when it brings something big with it—the magical world of Doctor Strange and the nation of Wakanda in Black Panther, for instance, are meant to be things people don't know about, giving us a reason we as the audience are only hearing about them after ten years and a dozen films. Mutants, though? They're meant to be everywhere. That's the entire idea of the way people react to them, something that's absolutely essential to the central metaphor of the X-Men and how they work. And since we've already seen Senate hearings about superpowers (in Iron Man 2) and a Registration Act (in Captain America: Civil War), two classic plot elements strongly tied to the X-Men, without a single mention of teenagers with laser beams shooting out of their faces, the fact that it hasn't come up before would be weird. Of course that doesn't mean they can't do it. 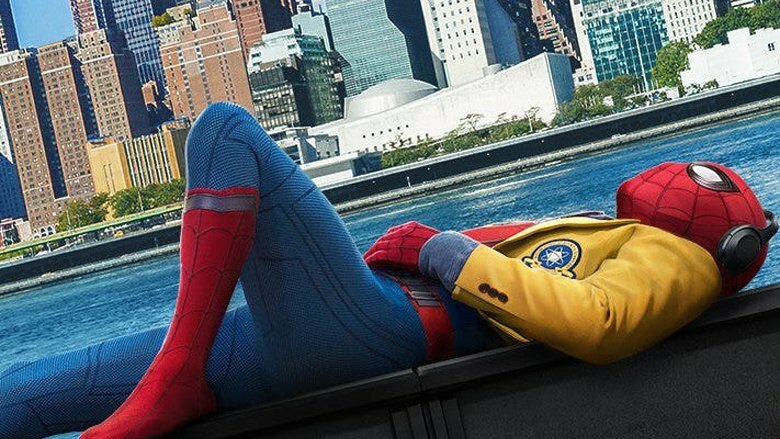 One of the biggest things to hit those movies in a long while was, after all, Marvel Studios hammering out a deal with Sony to bring Spider-Man into the fold. Spider-Man, however, has a lot of advantages the X-Men don't. For one thing, as mentioned above, he's traditionally a solo hero, and for another, the fact that he was defined as a young adult means it actually makes a lot of sense that he'd be showing up a little later. But at the same time, they definitely didn't take the easy way out with Homecoming. No matter how you feel about that movie, you have to hand it to them for tying it into the larger MCU on pretty much every level. Iron Man serving as a mentor figure (and providing the blueprint for a plot that has echoes of his character arc over the course of the movies), the Vulture's plot being entirely built around the events of the first Avengers movie, even Captain America's PSAs and the gym coach's confusion over whether he's a war criminal now thanks to the events of Civil War. So while it would be difficult, it's not like those movies have been leery of facing the challenges inherent inherent in bringing comics to the screen. Heck, Thor: Ragnarok had an appearance by friggin' Bi-Beast, and none of us saw that one coming. If we're being completely real with each other here, all they really need to do to get the X-Men there is just have 'em show up and let the audience deal with it, and there are plenty of weird comics ways to do it. Stray radiation from the Infinity Gems, for example, could spark a new wave of mutations among the population, explaining why there are so many now when they had been rare enough that Charles Xavier and his students had been operating in secret and went unnoticed. And that's just one idea. The biggest problem might be getting the audience to buy it, but that may not be insurmountable either. On one hand, comics audiences are far more familiar with stray universes being combined with each other and everyone just being fine with it—Marvel just did that last year, and it's kind of DC's go-to move—but on the other, people might not actually care if it meant they got to see Wolverine fight the Hulk in a movie. And at this point, you could probably just have Deadpool show up and tell the audience directly that they finally sorted out the licensing rights. With all that said, though, the X-Men are just the start of the new MCU possibilities in this deal—let's not forget the Fantastic Four. The Marvel movies have always been their best when they embrace the Jack Kirby influence of the comics, and FF is arguably the Jack Kirbiest comic Marvel's ever had. After so many underwhelming attempts, the chance of seeing that team done right is honestly the most exciting thing about Marvel getting those rights back. They could even do it as a period piece set in the '60s, like so many people have suggested before—The First Avenger and Agent Carter have shown us they can do it, and it might end up being the easiest way to work them into the history of the MCU. And as great as it'll be to get the FF's heroes into the MCU, even that isn't the whole story. There's someone who could end up being even more important: the team's longtime antagonist and cornerstone Marvel Universe bad guy, Doctor Doom. Seriously, forget about Thanos. Doctor Doom could be the villain in any Marvel movie. Heck, he could be the villain in all of them.